"What could be more natural than to treat our organizations, not as mystical hierarchies of authority, but as communities of engagement, where every member is respected and so returns that respect?" 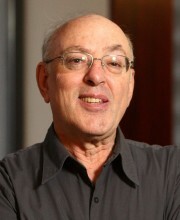 Henry Mintzberg, a leading thinker and academic, writes prolifically on management and business strategy. His books challenge the norms and offer countering views. Always inclined to swim in less popular streams, I was attracted to Mintzberg’s alternative approaches, and curious to read his thoughts on management. His book, Simply Managing: What Managers Do – and Can Do Better is a shortened version of his previous book, Managing. It is designed for busy managers – an appealing goal similar to that of Actionable Books! Mintzberg forgoes chapter summaries and extended narrative in favour of bolding key messages and summarizing his models with functional diagrams; useful and much appreciated by this time-challenged executive. It’s reassuring to hear the reality acknowledged, to feel understood. The management models, the knowledge he conveys, and the wisdom he imparts caused me to think differently about my management practice. "An organization is an interacting network, not a vertical hierarchy. Effective managers work throughout; they do not sit on top. Out of this network emerge strategies as engaged people solve little problems that can grow into big strategies… To manage is to help bring out the positive energy that exists naturally within people. Managing thus means engaging, based on judgement, rooted in context. Leadership here is a sacred trust earned from the respect of others." Mintzberg broadens the perception of management by insisting that managers move through a multidimensional space, requiring a variety of mindsets, and managing (as opposed to attempting to fix) the unresolvable and inevitable paradoxes of a complex work environment. It’s a question of balance (getting it right! ), and really knowing yourself (and when you need others) and your context. The purpose of managing is to ensure that your sphere of responsibility serves its basic purpose. Mintzberg presents a conceptual model of managing that places the manager between their unit of responsibility and the rest of the organization, as well as the context that surrounds the organization. From this junction point, Mintzberg describes the elements of his model, beginning with Three Mindsets. Effective managing is a blend of art, craft and science. The ART mindset provides the vision and creative insights – here’s the inspiration and passion. Experience and practical learning provide the CRAFT mindset. And SCIENCE, arguably the exalted managerial mindset to the exclusion of the other two in the popular view of management, encompasses analysis and a regard for systemic evidence. The combination of all three is required. Could be all well-balanced in one person, but that’s not been my experience! Being someone who relishes working creatively with others, I can see how a truly integrated team can be successful in fully and ideally representing a blend of these mindsets. Building from these mindsets, Mintzberg sees them blending and operating on different planes, performing different roles. Mintzberg discusses each aspect of the model in turn and then pulls everything together in conclusion. Namely, that managing is doing and leading and dealing and linking and controlling and communication and more – all blend together in a combination of art, science and craft. A focus on any of these functions, planes, or roles to the exclusion of the whole will put the whole organization out of whack. “We have all experienced lopsided managing, whether due to the detachment of strategizing, the heavy – handedness of controlling, or the self-absorption of narcissistic leading.” Thus, he broadens our perception of managing, and explains the interconnectedness and messiness of managing effectively, and how it must be practiced holistically. "There is nothing so powerful, or so natural, as engaged managers who are committed to developing themselves, their organizations, and their communities." The mission of the organization can only be fulfilled with the full participation of the people who work there. The organization’s success relies on the ability of managers to bring out the best in other people so they can make the best decisions for the organization as they go about their daily work. My work setting is a library. If we’re successful in supporting the development of staff, then those folks who deal first-hand with the public will be inclined to commit to the success of each and every person who walks into the library. And that, in turn, shows the organization’s commitment to developing the community. "Leading means helping to establish and strengthen culture. Culture is intended to do collectively what other aspects of the leading role do for individuals and groups: encourage the best efforts of people by aligning their interests with the needs of the organization. In contrast to decision making as a form of controlling, culture is decision shaping as a form of leading." I love how this framing of culture as “decision shaping” affirms the importance of paying attention to culture. I’ve worked in cultures that are built on distrust. They result in tight control and monitoring to ensure everyone follows the rules. Unfortunately, this type of culture fails to leverage the passions, skills and experiences of the staff with the organization’s goals, values and interests. My view is that a culture of trust, respect, openness, and learning generates increased organizational capacity exponentially. When each staff member is engaged and committed to the success of the organization, it means that the culture is supporting and shaping their experiences and actions. Mintzberg also notes that culture can be built into the very system, depending on the type of organization. It might not be so obvious to outsiders (or maybe it is! ), but libraries have definite cultural norms – built into the hierarchy and practices of librarianship. Working with that culture, and yet shaping its adaptation in order to achieve continued success as a service organization, will be key. Lest anyone think that management is an easy gig, Simply Managing should set them straight. To be effective as a manager, one has to acknowledge the complexity of the work, engage in honest reflective practices, and commit to the success of those you lead. We all face different circumstances – and that, as well as who you are as a person, impacts how you perform your work. Experience by experience, we bring ourselves wholly and personally into the work and, if effective, can take satisfaction in the success of others. For my part, the framing of the organization as a community of engaged people resonates and inspires.